Doing a photoshoot in China is different than anything I have experienced on any set anywhere else in the world. Heck, just getting from the hotel to the set is like playing a video game when it comes to driving on the roads, or sidewalks for that matter. However, to go to a country expecting it not to have a different culture is ethnocentric and prepares one for nothing. 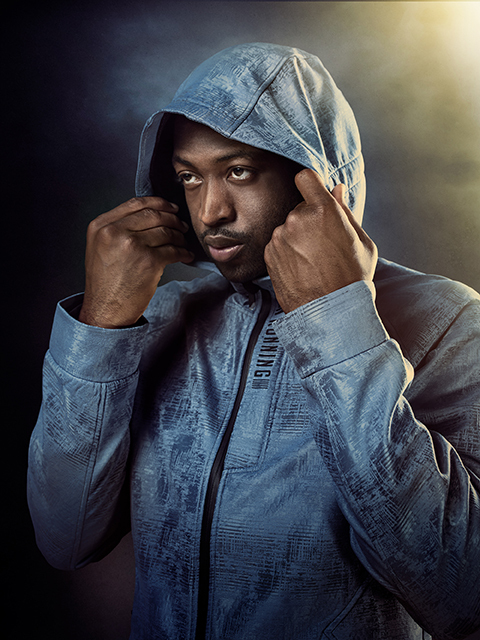 It was immediately evident how important Dwyane Wade was to Li-Ning and to China as a whole. People revere him and I know from working with him that his image and legacy are very important to him as well, which is why every detail of the shoot had to be perfect. Upon walking into the gym, there were five large sets actively under construction by more than 40 workers on stilts and ladders. It was a production to be proud of and one that was overwhelming in scale, but could be understood when we focused on the shots individually. And when I say “shots” I mean many, many shots. We had Dwyane for eight hours, before he would need to leave to do the signing ceremony of his lifetime endorsement deal. In those eight hours, I had 39 different shots to capture. Yes, that is one shot every 12 minutes. We needed efficiency to get all the images done in time and in order to make this run smoothly I needed a solid team. 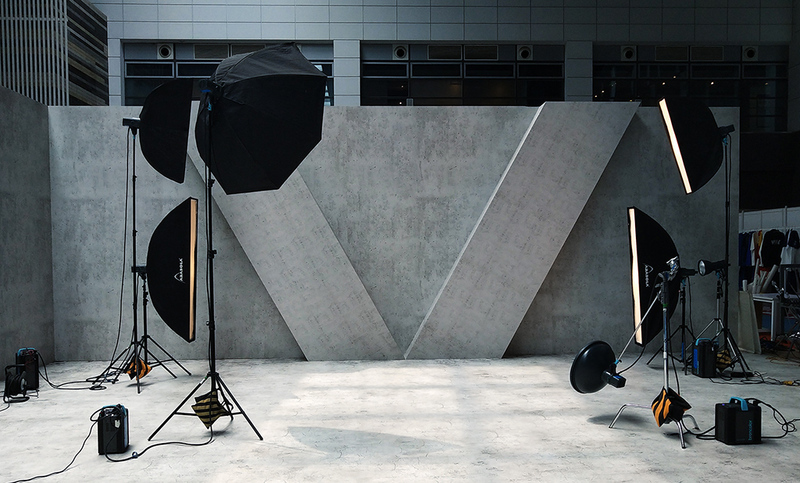 For the pre-lighting day I had 10 assistants, and for the shoot day we would bring on more. I had two translators and a rockstar-of-a-producer to handle them all. I wish I could thank them all by name in this piece, but the truth of the matter is that it was so busy of a set that I only got to shake hands with them at the end. From the moment this photoshoot was concepted, we knew that it was going to be a tough one to execute while maintaining the utmost quality of light that the shots required. In order to keep this lighting crisp, we ran three individual sets at all times . This meant that as I was shooting on one set, my next set was ready and the lights from the prior set were being transferred and set up for the third. The only way to do this was to prepare the light for each image and take down note and placement markings for everything. To do this, we photographed models that had been flown in just to stand in for Dwyane for the reference photos because of how closely they matched his look. 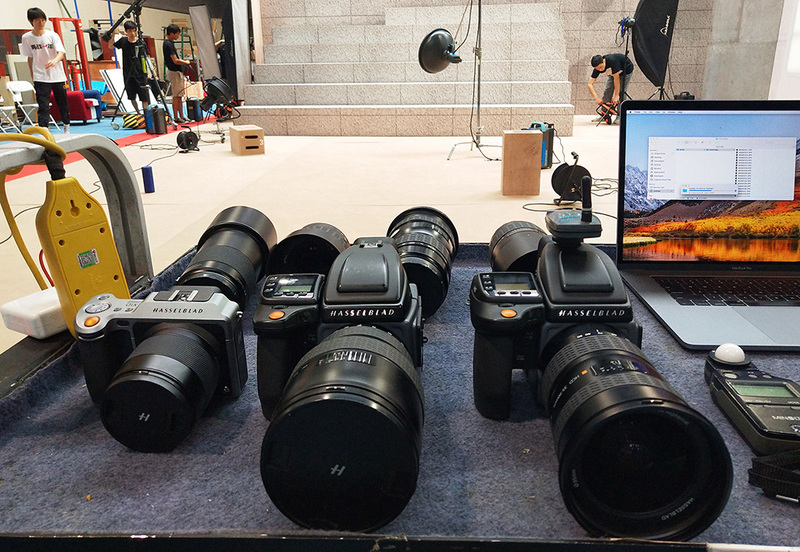 Hasselblad had flown in more cameras and support staff the night prior. We knew we would be using the 35-90mm (my favorite Hass lens) for many of the shots and so we had backup copies brought in as well as an extra H6D-100c and 100 f/2.2 lenses to make sure that nothing would stop the shoot, even a dreaded camera drop. For lighting, we would be running all Broncolor (in Beijing they are very easy to find at rental houses) with the most lights per set being 18, all the way down to a shot that featured just two. For a standard studio, putting an 18-light set on the power grid can get hairy, but putting three on the grid of a gym is almost impossible, so generators were split to not overload a grid. Normally I don’t go into this amount of detail about the shoots we do, but I think this time it is warranted as it shows the way that a production scales isn’t always linear. As with all productions, this one was challenging, but the degree to which it had to be planned out prior was immense. There were time restrictions, power constraints, set build and most importantly Dwyane’s safety that had to be considered. Knowing all the parameters, I still slept well the night before because the team that would stand alongside me the next day was made up of hard-working guys and girls that I trusted completely. 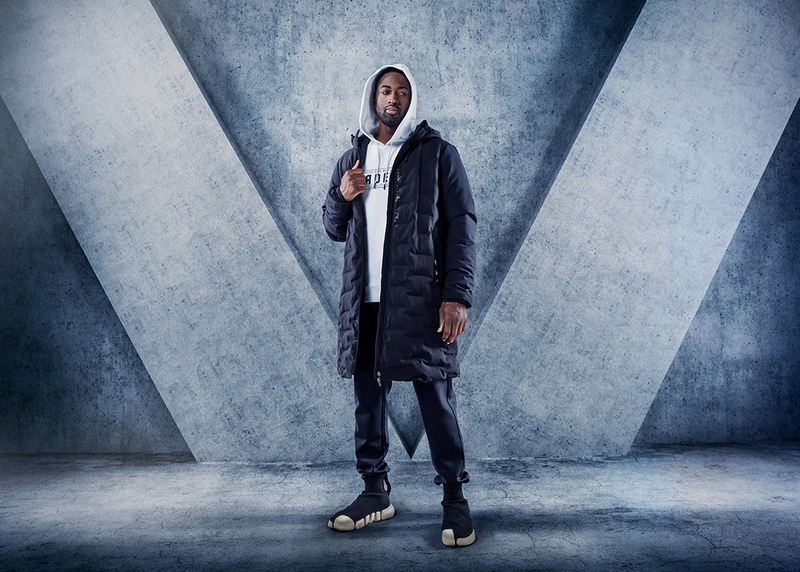 The day of the shoot Dwyane Wade showed up right on time and after going through hair, makeup and wardrobe asked if I would join him in his green room to discuss my vision and how we could work together to achieve it. I was taken aback by this. His level of professionalism on the shoot was amazing. After all, we are asking a professional athlete to do what is essentially a fashion shoot, and he not only knew exactly the direction we could go with it, but also was able to incorporate his style and flare into it. I walked out of the green room after our meeting knowing that this was going to be a good day. We lined up the shots in an effort to make wardrobe changes minimal, as there is a lot of time lost if we have to do 39 of them. 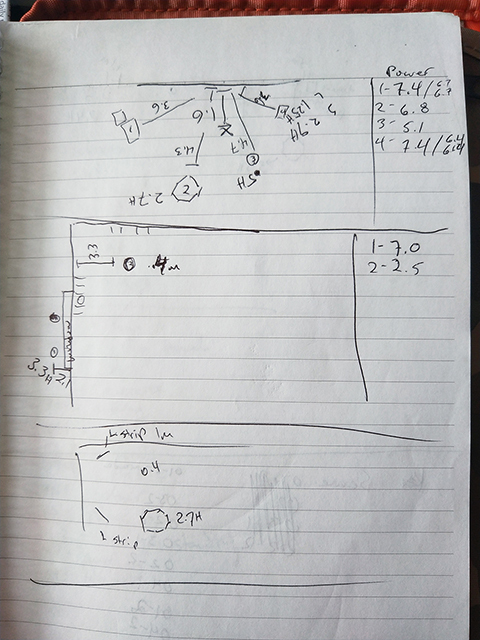 We also set up the shot list to warm up Dwyane to how I direct shoots, before we went into the complexity of some of the more stylistic poses. However, I knew right away that he got it. Within the first 30 minutes we had eight images done and the team was operating with such great cohesion that I asked my producer and translators to only give input if the assistants and crew seemed lost. One of my only regrets was not taking the time to step back and admire how beautiful it was to see the synchronization of our plan in action. As the day went on, I could feel the adrenaline of the day wearing off, and knew that the crew had to feel the same. However, not once did any of them complain, or even sit down for that matter. They soldiered on, and before we knew it, we were shooting the final image. 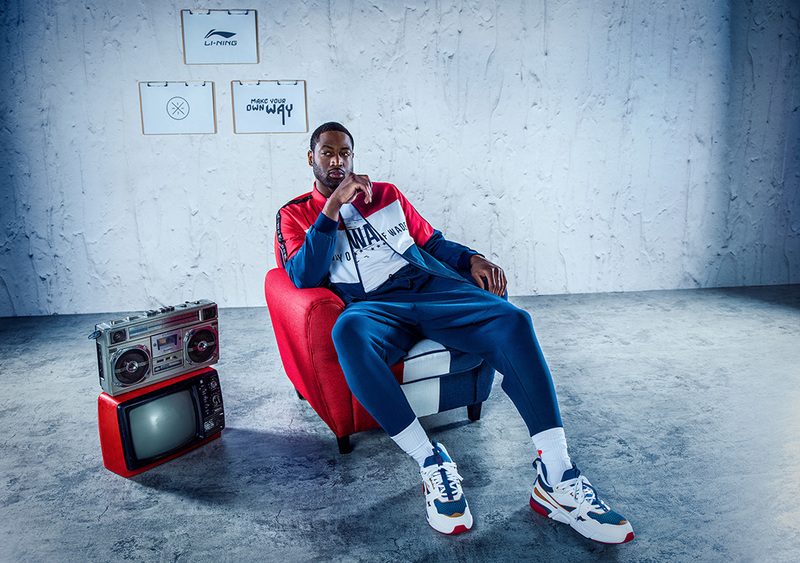 Just when I thought I would go back to the hotel and go to sleep; I was asked by one of the directors of Li-Ning to join he and Dwayne at a whiskey bar that evening to celebrate the day. I of course agreed and my producer and translator proceeded to give me a crash course in how to order whiskey in Mandarin. The shoot was an overwhelming success, but like all the others I have done and will do, is completely a result of the team. Large productions like this will always be credited to the photographer behind the camera, but taking credit for them feels wrong. 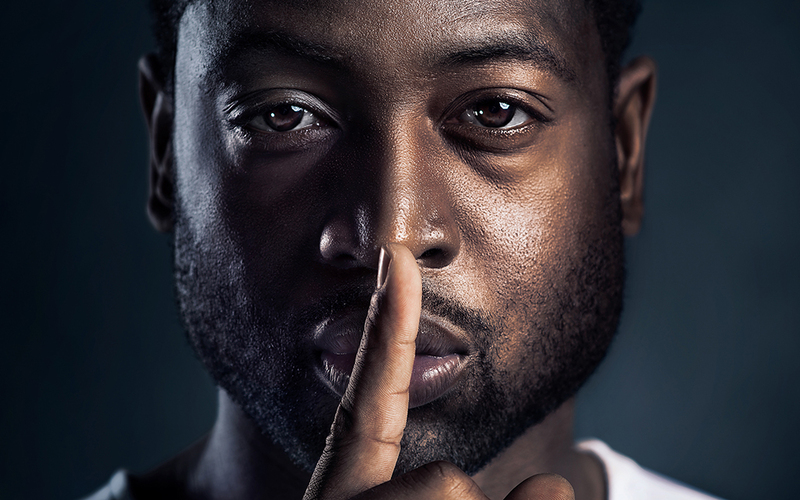 Images like those I created of Dwyane Wade are a result of hard work from all involved behind and in front of the camera. From the safety officers that make sure no one is hurt to the grips moving, dialing and geling the lights, everyone matters just as much as the photographer. Advertising photography is a fun, challenging job. However, the real reward is the honor of working together with such incredible people. Wow! Thank you for sharing the background information. Beautiful images as usual.